Three talented musicians, that’s Common Thread. 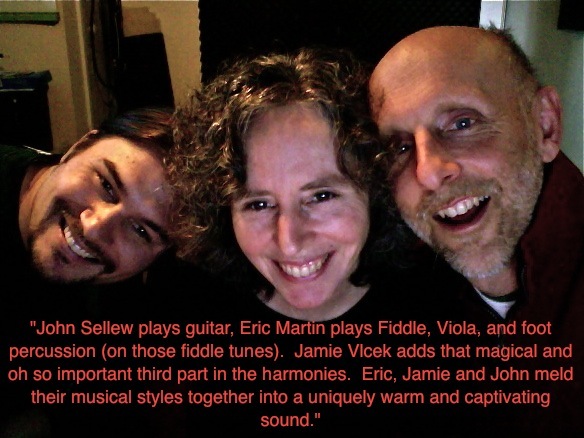 This trio draws from a broad range of folk styles with John Sellew on guitar and vocals, Jamie Vlcek providing vocal harmony and Eric Martin playing fiddle (tossing in wonderful foot percussion), viola and adding his voice as well. This dynamic group has been singing around the Berkshires for many years. They simply love to combine their individual talents into the warm and captivating music they share with all of us.